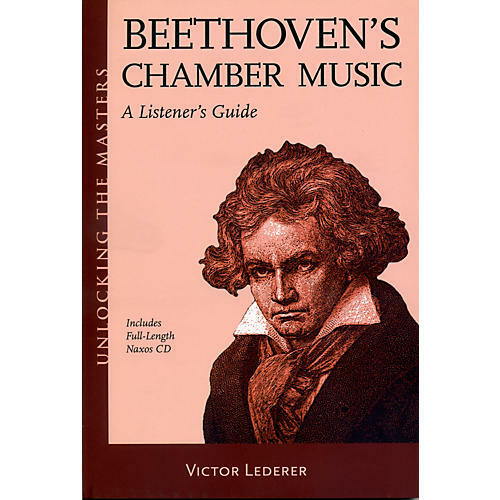 Lederer shows how Beethoven's sonatas for violin and piano overflow with high energy and spirits, showing a creative force that transcended personal struggles. The "Kreutzer" sonata, Op. 47, displays all the power of the master's middle period, while the G Major sonata, Op. 96, foreshadows Beethoven's mellower late works. The author also considers the sonatas for cello and piano, which span Beethoven's early, middle, and late periods, and examines the piano trios, including the immense "Archduke" trio. A highlight of the book is an exploration of the sixteen string quartets, which represent the pinnacle of Beethoven's achievement in chamber music. Lederer explains how the middle-period quartets, starting with the epic "Razumovsky" set, shatter molds and create new procedures, often on a stunning scale, and why the five late quartets and the Great Fugue are considered the peaks of the quartet literature and of Beethoven's own output. Lederer helps both new and experienced listeners grasp the strangeness and grandeur of these astonishing creations. The book comes with a compact disc containing musical selections drawn from critically acclaimed performances on Naxos Records.